Mark J. Censoprano is Chief Marketing Officer at Art Van Furniture with more than two decades of brand management experience. 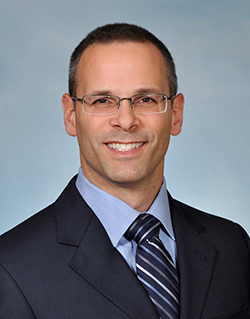 Since June 2012, Censoprano has served as Chief Marketing Officer for Aspen Dental Management, Inc. (ADMI). ADMI provides non-clinical business support services to more than 540 independently owned and operated Aspen Dental-branded practices in 33 states. In his role, Censoprano has responsibility for ADMI’s plans to grow and expand its national footprint by bringing his breadth of experience and vision to all marketing, corporate communications and public relations efforts. Censoprano previously served as CMO for Sbarro, Inc. and has held officer-level and leadership positions at Darden Restaurants, Campbell Soup Company, and S.C. Johnson & Son. Mark has MBA and Bachelor of Science degrees with distinction from Cornell University.